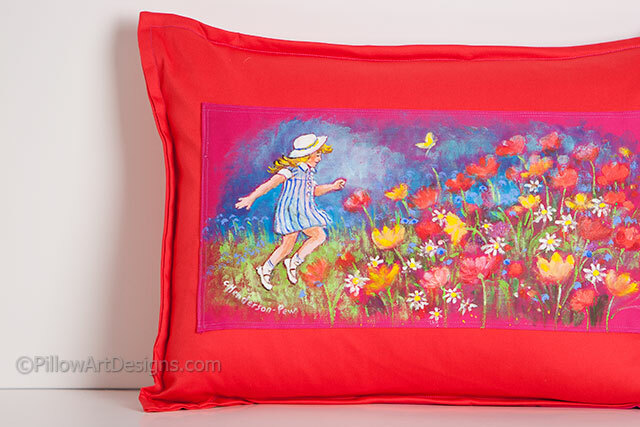 Cheery and beautiful decorative accent pillow features a young girl running amongst bright summer wildflowers. 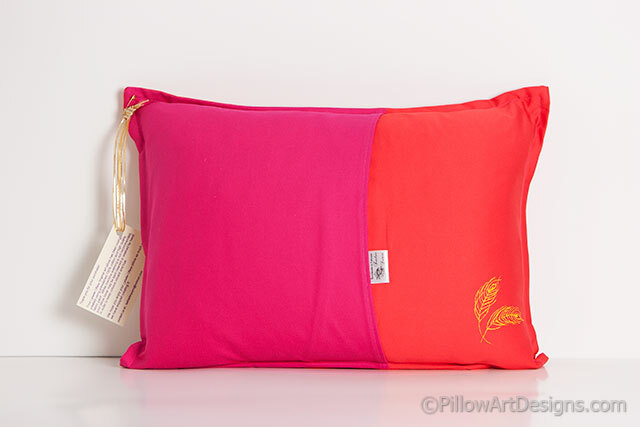 Created with hot pink and tangerine stretch sateen fabric. 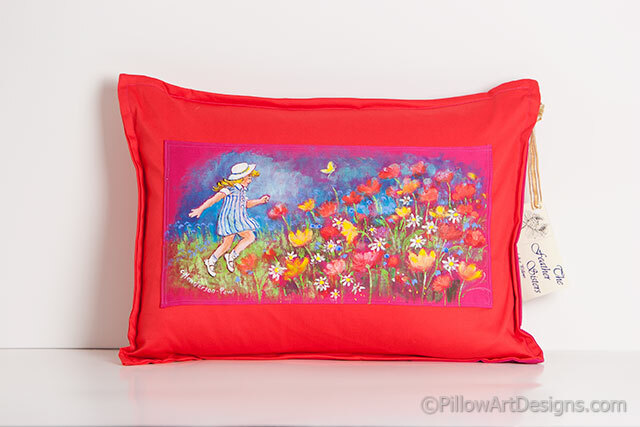 The original art painting on the front of the pillow depicts a young girl in a blue and white striped dress and white sunhat skipping along in a field of red, yellow, blue and white flowers. A yellow butterfly flutters along with the girl, the perfect picture of a childhood carefree summer's day. All Feather Sisters original art pillows are painted and signed by Canadian artist Carol Henderson-Pew. Our Feather Sisters logo is hand painted on the bottom back corner of each pillow.